C ollective exhibition of Project NL projects from the Berlage Generation XXV* held at Post Office in Rotterdam. Individual and collective projects are presented on the “family table” which is placed in the center of the room. Visitors are free to walk around the exhibition and view the projects from all sides. 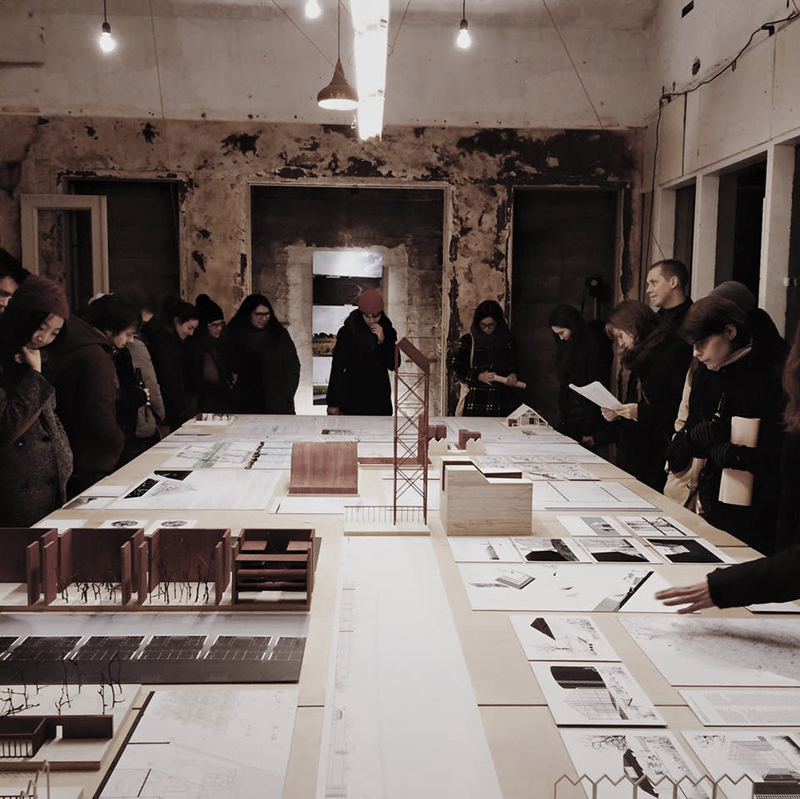 The exhibition consisted of individual project drawings and models. The format and number of the drawings was free for each of the participants to decide, while the format and scale of the models was set to 30x30cm cubes. The models represented fragments of each project. White color was used to represent the found condition, while dark red was used to represent the project proposals.